RAZIN' Hell in Jesus' Name! 1. To level to the ground; demolish. See Synonyms at ruin. 2. To scrape or shave off. Did you know saving yourself from Hell and spending eternity in Heaven is very simple? It's like saying the alphabet or counting to ten. Really, it is. Jesus said that "no one can go to the father except through him." View these powerful presentations above to see what God, through Christ, has done...just for you. It may take a couple minutes to load depending on your connection speed. So, let's break it down. To be saved from spending eternity apart from God, in a very real place called Hell, all you have to do is accept Jesus. Jesus is the only way; the only one who can save your soul. No amount of good deeds will help you; you can't buy your way to God. Fact is, it's Jesus and only Jesus. So, if you died 10 seconds from now, where would you go? Heaven or Hell? God has made salvation simple. "Whoever calls on the name of the Lord shall be saved." (Romans 10:13). Your salvation experience will be the beginning of your relationship with Jesus Christ. Understanding salvation is as simple as "A.B.C." Admit that you're a sinner in need of God. Believe that Jesus died and rose again for your sins. We want everyone to spend eternity in Heaven, with our Lord and Savior Jesus Christ. That's why we've put the Gospel on here. Do me a favor, if you're unsure of your relationship or if you are ready to take that step of faith.....would you let me know? I'd love to answer any questions and/or celebrate right along with the angels! "God, I know that I am a sinner. I know that I deserve the consequences of my sin. However, I am trusting in Jesus Christ as my Savior. 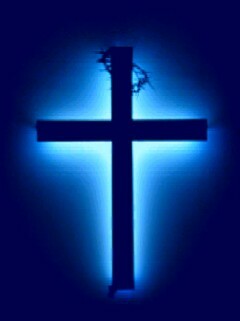 I believe that His death and resurrection provided for my forgiveness. I trust in Jesus and Jesus alone as my personal Lord and Savior. Thank you Lord, for saving me and forgiving me! Amen!" • If you've prayed to receive Christ, please let us know so that we may rejoice with you in your new relationship with Jesus Christ. • If you have any questions or if you need to speak with someone about your personal relationship with Christ, please contact us.